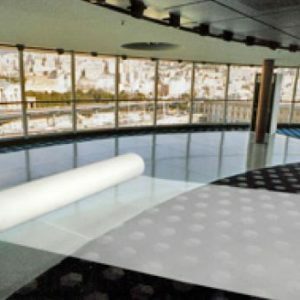 Protective Glass Film NS PET 125BL is a semi-rigid, self-adhesive film for the temporary protection of glass. Good temperature resistance. 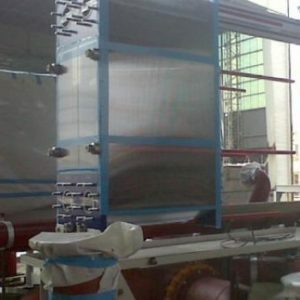 Protective Glass Film NS PET 125BL is a semi-rigid, self-adhesive film for the temporary protection of glass. This product has a good temperature resistance, certificated by RINA. 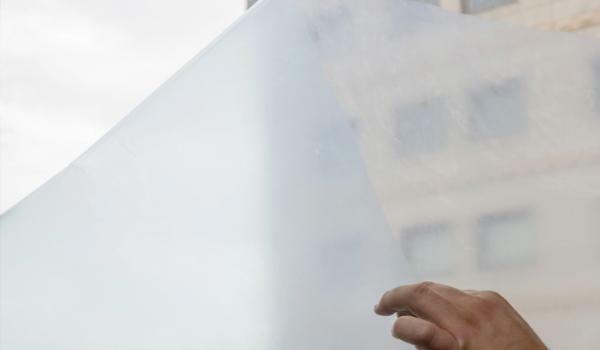 Internal or external surfaces may be protected by the transparent film. 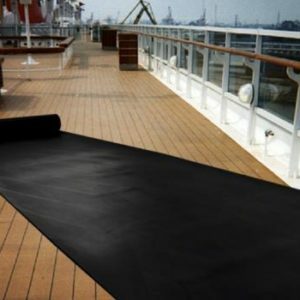 The film does not protect against corrosion, humidity or chemical products. Not suitable for the protection of brass, copper or alloys containing copper. The film is guaranteed for six months from the date of receipt and must be stored in its original packaging in a temperate environment between 15°C and 25°C; should it be stored at a different temperature, recondition the product before use. Before applying thoroughly clean the surfaces of all dust, oil and grease. The user must necessarily perform complete tests for compatibility with the surface to be protected, before the final use of the product. The values given above are average laboratory test results which, however, must not be considered product specifications. MARINONI or UTM may in no case be held responsible for the improper use of its products. The guarantee is expressly limited to the replacement of the products sold and verified to be defective and excludes any other compensation, damages or interest.